Gain the skills you need to succeed in the television industry and master the production process, from shooting and producing, to editing and distribution. This new and updated 17th edition of Television Production offers a thorough and practical guide to professional TV production techniques. Learn how to anticipate and quickly overcome commonly encountered problems in television production as author Jim Owens details each role and process, including the secrets of top-grade camerawork, persuasive lighting techniques, and effective sound treatment, as well as the subtle processes of scenic design, directing, and the art of video editing. A comprehensive resource page for instructors, containing slides and testing materials to aid in the learning process can be found at www.routledge.com/cw/owens. 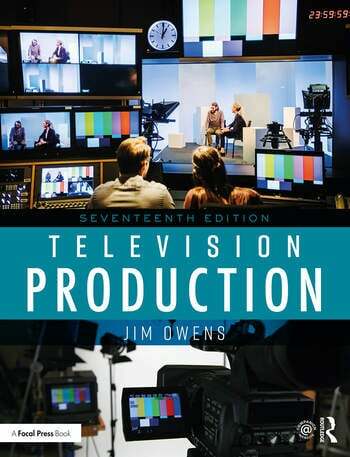 Jim Owens has worked and taught in the video and television industry for over 30 years. As an Emmy Award-winning producer, he has worked on local, regional, and national productions. Owens’ international television work has included 15 Olympic broadcasts and has taken him to over 25 countries. He is the author of the Video Production Handbook, Television Production, and Television Sports Production (all published by Routledge), and has had over 30 articles published in television and broadcast magazines in the United States and Europe. He served as the curator of the History of Olympic Broadcasting exhibition at the Olympic Museum in Lausanne, Switzerland. Owens is Dean of the School of Communication Arts at Asbury University in Wilmore, Kentucky, where he has taught since 1981.